Teacher tech support: Help! My students can’t see the stuff that’s on my laptop screen! This short entry is our first “teacher tech support” article. In this series, I’ll showcase common problems and simple solutions. As the technology coordinator of the English Language Institute, I’m often approached by teachers who have classroom equipment problems. One very common problem teachers report is that what shows up on their laptop screen is not the same as what shows up on the classroom monitor or projector. This often manifests as the classroom monitor or projector showing a computer desktop background picture, but no windows or icons. On a Mac: Press “Command” + “F1” to fix the problem. 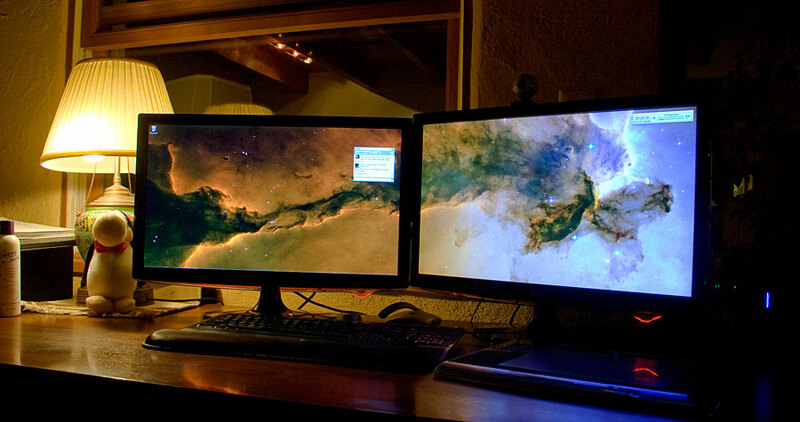 Whenever you have an extra monitor or projector hooked up to a computer, you can either let it do a “mirrored display” (in which case both your screen and the external screen show the exact same thing) or an “extended display” (in which case they act like two separate monitors, and you can drag windows back and forth between them). Mirrored display is the simplest to use and understand because your students see exactly what you see. 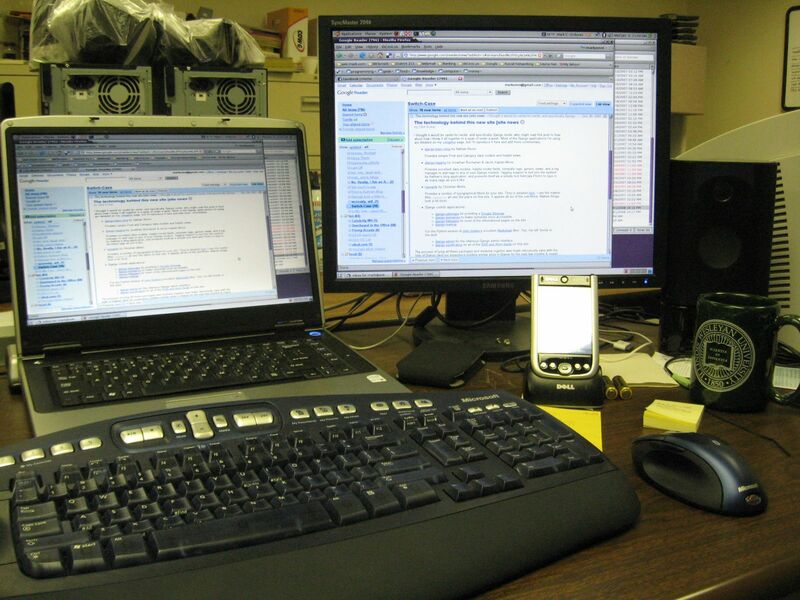 Extended display is more complicated to use and understand because you have two screens showing two different things. It can be useful if you need to hide some things from your students’ view or if you need to do two things at once, though. For example, with extended display, you can show your PowerPoint on the classroom monitor while simultaneously marking attendance on your laptop screen.